Summertime often causes work to slow down with people using their saved vacation time. While key employees are away, projects are put off, and the stream of tasks is taken down a notch or two. Letting staff out early on Fridays is a common practice during summer as well. Americans take the longest vacations in the summer (June through August) and a survey found that over 60% of Canadians take time off in August. 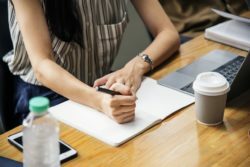 With the day-to-day work easing up, summer is a good time to tackle some other projects that were put on the back-burner during the rest of the year. Summer is also a good season for building maintenance, as fewer employees being around means fewer people being inconvenienced. A push for sustainability in your building – automatic faucets use 70% less water than manual ones, and Dyson hand dryers use 80% less energy than most standard models. Maintenance noticing more plumbing issues – 48% of women say they flush tampons, which commonly cause pipes to become blocked. Fixtures appear old and give off a negative impression – people are less likely to wash their hands in a sink that appears dirty. 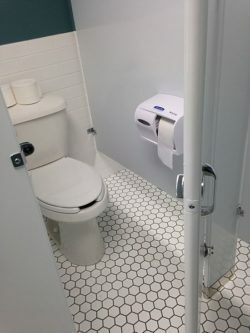 Both employees and customers take washroom appearance and cleanliness seriously. One survey of fulltime workers found that 89% of them associate washroom conditions with how much their employer values them. A consumer survey found that 56% of its participants would not return to a business that had dirty washrooms. Some of the most common complaints about public washrooms include odour, fixtures not flushing, sticky or wet floors, and lack of paper towels and/or toilet paper. The office may have a more relaxed atmosphere during summer, but if there are pest problems, that won’t be the case. Ants, spiders, wasps, and bed bugs, to name a few, commonly cause problems during this time of year. 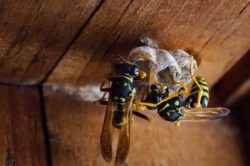 Hiring a pest control company to treat your building with Integrated Pest Management (IPM) techniques is an effective and environmentally friendly way to remove infestations and prevent future ones. Pesticides are a last-resort treatment. Instead, regular inspections and preventative measures are customized for each site and used to make buildings less desirable places for pests to call home. Sometimes, IPM requires a little building maintenance, like sealing small openings around windows and doors and putting screens up on windows. With fewer people around and looser deadlines, implementing IPM measures are less likely to be an inconvenience. Not only is summer a relaxed season, it is also the halfway point of the new year, making it an ideal time to reflect and determine where progress is being made, and where it needs to be improved. Citron Hygiene has more than the washroom and pest control products and services to improve your building, as we also provide warewashing, chemical, and life safety services, and facility/janitorial supplies. If you’ve got a summer project to complete, chances are we have what you need. The first consultation is free, so visit our website and book it today!